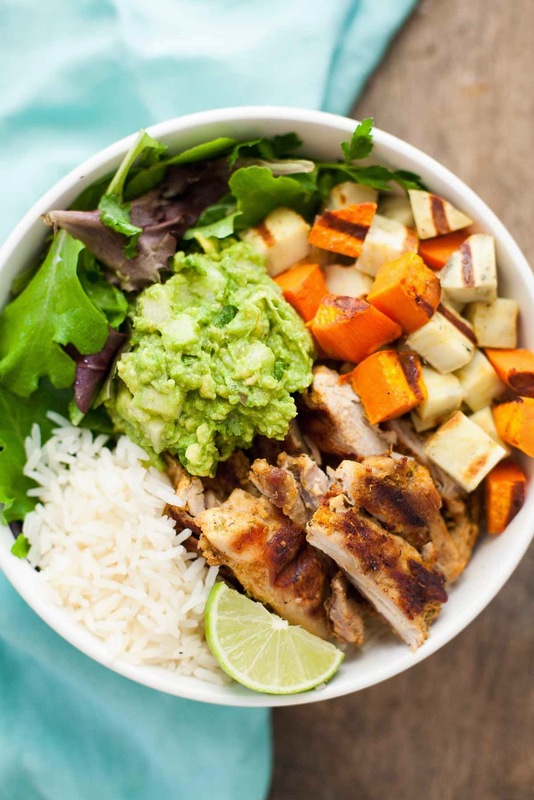 Grilled chicken thighs aren’t quite as tidy-looking as grilled chicken breasts, but with a big bowl of goodness like this, no one will notice. They’ll be too busy checking out the awesome grill marks on those two colors of sweet potatoes. I used my indoor grill for this recipe because it’s not QUITE warm enough for outdoor grilling in Boston, but I can’t wait to try this outside as soon as possible. 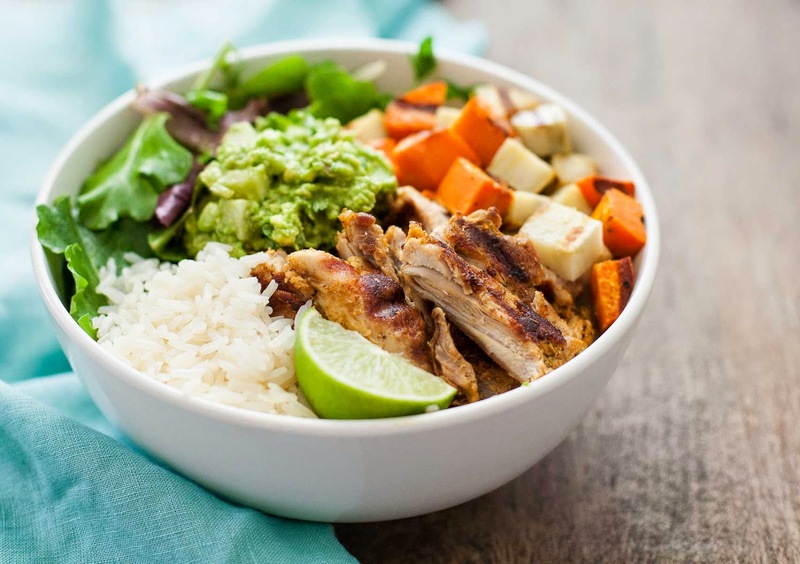 This bowl is for Cinco de mayo, or for anytime you want a healthy, Mexican-inspired bowl of dinner with lots of different colors and textures. The chicken thighs are rubbed with homemade Adobo seasoning and grilled. The guacamole is taken up a notch by the addition of crunchy jicama. Grilled sweet potatoes, gently dressed baby greens, and white rice or cauli rice round out the meal. *Try making some pico de gallo de frutas with the rest of your jicama! It’s also great cut into matchsticks and added to salads for extra crunch. Combine all the marinade ingredients in a medium bowl. Pat the chicken thighs dry and add them to the marinade, tossing to coat the pieces evenly. Marinate at room temperature while you grill the sweet potatoes or cover and refrigerate for up to 4 hours. Preheat an indoor or outdoor grill (I used a George Foreman). Drizzle a little olive oil on the sweet potatoes, season generously with salt and pepper, and toss to coat. 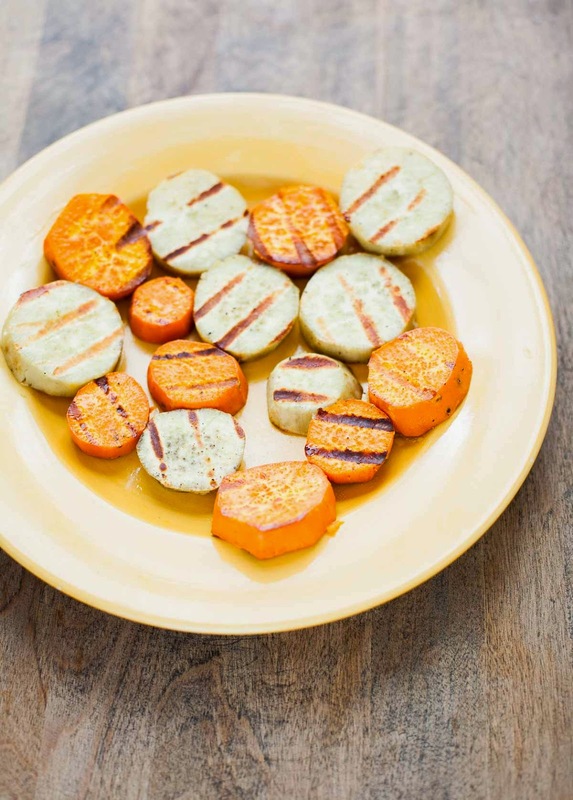 Place the sweet potato slices on the grill and cook until tender when pierced with a fork, flipping once if using an outdoor grill (about 8 minutes on a George Foreman). Transfer the sweet potato slices to a plate. Add the chicken to the grill and cook, flipping once if using an outdoor grill, until cooked through (6-8 minutes on an indoor grill). Transfer to a cutting board and cover loosely with foil. To make the jicama guacamole, mash the avocado, shallot, lime juice, salt pepper, and cumin with a fork in a small bowl. Stir in the diced jicama and chopped cilantro. Taste and add more lime, salt, and/or pepper if desired. Chop the sweet potatoes into bite-size cubes, and slice the chicken into strips. To assemble the bowls, add a handful of greens to each one. Season with a little olive oil, lime juice, salt, and pepper, and toss to coat. Add some rice to each bowl. 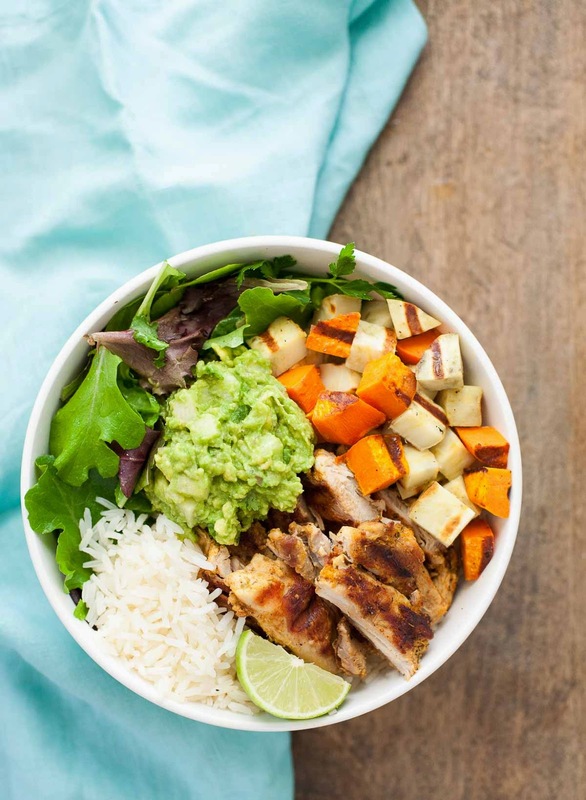 Top with grilled chicken, sweet potatoes, and jicama guacamole. Serve with a lime wedge. Put the chicken stock and salt in a medium saucepan and bring to a boil. Add the butter and the rice and stir. Cover and reduce the heat so the mixture simmers. Cook for 15 minutes, or until all the liquid is absorbed. Let the rice sit with the lid on for 5 minutes, then fluff with a fork and serve. This is making me hungry! 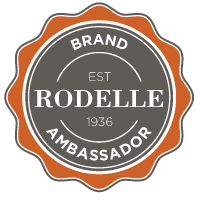 Beautiful presentation – looks super easy and fast. Avacado always makes it better! Thank you so much, Christopher! I agree–avocado takes everything up a notch. I'm with you on the chicken thighs, and I also made a dish the other day deboning the thighs (labor of love), also from a Paleo book. If the pictures turned out ok, I might blog about it, it was delicious, with artichoke hearts and capers. 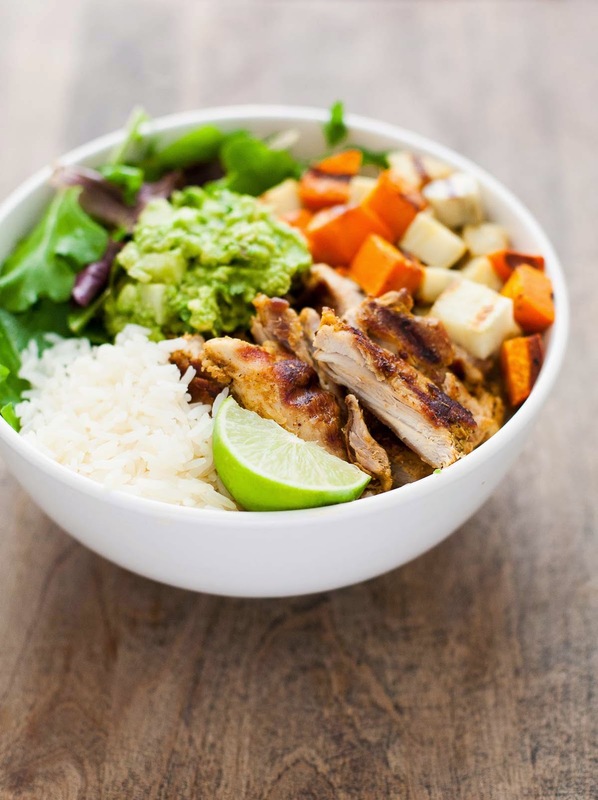 love your recipe today, I would gladly have the whole bowl for lunch! Haha, thanks, Sally! I wonder if a lot of picky eaters grow up to become food bloggers and try all sorts of things?? Ooh, chicken thighs with artichoke hearts and capers sounds amazing–what book was that from? I have a growing paleo cookbook collection and might need to add that one. I am definitely going to get that one! Love Bill & Hayley's blog and keep hearing great things about the book.